If you're looking for things to do in Devon on your next camping holiday in the south west, Caravan Sitefinder is here to help! The teams at our sister magazines Practical Caravan and Practical Motorhome have got to know Stowford Farm Meadows campsite rather well, as the guys and girls have been there for the magazines' Reader Rallies for the past couple of years. Which means they have got to know the area rather well. Stowford Farm is superbly set up to cater for families and pets, with an impressive list of facilities that includes five washblocks, a comprehensive shop selling souvenirs as well as the usual essentials, plus two bars, a restaurant, a takeaway, a petting zoo, a riding stables, crazy golf, an indoor swimming pool and a children’s play area. Dog owners will appreciate the dog crèche, allowing you to go out for the day without the worry of whether you can take your dog into an attraction or restaurant. If you are in the market for a new caravan or motorhome, Stowford Farm Meadows is also part of the Bailey dealership network. If you’re looking at pre-owned, you will find a range of brands to choose from. It supports this with a caravan workshop and accessories shop. So if you have any little niggles with your tourer you can get them sorted out while you are enjoying yourself. But what about if you want to venture further afield? Just a 10-minute drive away is the attractive village of Combe Martin. You can walk to it, too. It’s just over 3.5 miles and will take you around an hour and a half, but don’t forget the walk back – this is hilly countryside. You could catch the bus part of the way, which will take you via the seaside resort of Ilfracombe, or get a cab. Or you could catch your breath in one of Combe Martin’s cafés and pubs. The village sits right on the edge of the Exmoor National Park and has a secluded bay with a nice little clean beach, flanked by rock pools. Or why not head to nearby Ilfracombe? You can buy some very odd-flavoured ice cream around the harbour – in fact, this area of Ilfracombe is fascinating. We made the short climb up Lantern Hill to visit the UK’s oldest working lighthouse housed in St Nicholas’ Chapel, which was built in the 14th century. The lighthouse keeper’s family lived in a very tiny space. Overlooking the harbour’s edge is Damien Hirst’s bronze statue of a pregnant woman, Verity. See both sides of it and you may experience one of those Marmite moments – you’ll either love it or hate it. For a real treat we visited Damien Hirst’s restaurant The Quay. The atmosphere was fun and there was nothing too scary on the menu; food was from locally sourced produce and very good. The dining rooms have great views over the harbour. From Ilfracombe's harbour you can get a boat to the marine nature reserve of Lundy Island – a place of peace and wildlife, including deer, ponies, seals, puffins and guillemots. There are quite a few places for an overnight stay, including a castle. Plus, Ilfracombe is famous for its Tunnel Beaches – award-winning beaches, a Victorian bathing pool and brilliant rock pools only accessible via four tunnels carved out in the 19th century. If you haven’t taken a picnic you can stoke up on lunch at the Café Blue Bar. A 15-minute drive west of Stowford Farm Meadows and you will find three miles of gloriously clean, award-winning, sandy, blue flag beach at Woolacombe. With that much beach, you’d expect a few coastal activities – and you’d be right. On offer are tandem hang-gliding flights, fishing trips, a coastal cruise, surfing, kayaking and horse riding. There are certain areas of the beach that dogs are not allowed on during the summer months but otherwise it’s a very dog-friendly area. You can pick up a beach guide for dog owners at the Woolacombe tourist office. Those with bikes might want to tackle the Tarka Trail on their holidays in Devon – it is named after John Williamson’s book Tarka the Otter. The trail will take you through the village of Braunton, which as well as gifts and craft shops has a fair few surf shops. Close to Braunton is Braunton Burrows, the largest stretch of sand dunes in the UK and part of the first UNESCO Biosphere Reserve. Fronting the sand dunes is Saunton Sands, another superb, three-mile sandy beach. Surfing, kite surfing and paddle boarding are the sports along here. The Tarka Trail heads inland to Barnstaple, the commercial hub of North Devon. Here you’ll find great shopping, good restaurants and Barnstaple's six-days-a-week historic Pannier Market offering fresh produce, arts and crafts, antiques and collectibles. The town’s theatre, community centre and library hold lively events throughout the year and there’s a cinema and art gallery. If you need medical attention there’s a hospital, too. So we hope we have helped inspire your next camping, motorhome or caravan holiday in North Devon.  There are lots of caravan parks and campsites in North Devon listed right here on Caravan Sitefinder, so get clicking and happy holidays!